2017 in Wales was busy and action-packed. Welsh boxers competed on the national and international stage. The Welsh title continues it’s revival with three new champions crowned during the year: Tony Dixon, Nathan Thorley & Gavin Gwynne. The year produced surprises, knockouts and hard-fought contests. The following awards were decided via a select panel of eleven voters. 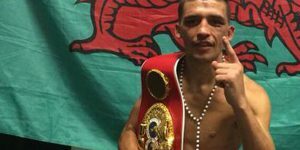 And still….IBF Featherweight champion of the World. The year started badly when the fight with Barros fell through at the weigh-in, in Las Vegas. Lee rebounded with a non-title stoppage win over Spain’s Andoni Gago, in London. He then made two defences, beating Argentina’s Jonathan Victor Barros and Mexico’s Eduardo Ramirez, both times in London. The 30-year-old Barry native has a 26-1, 9 KOs record. He’s held the IBF title since 2015. 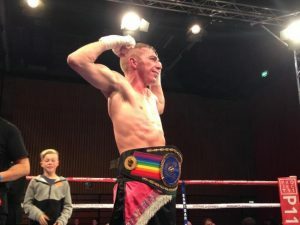 In a battle for the vacant BBBofC Welsh Lightweight Title, spectators were treated to a hard-fought contest. Gwynne and Janes put everything on the line and served up a treat. Gavin Gwynne had his hand raised, at Merthyr Leisure Centre, though both men took the plaudits. After a successful amateur career, Cardiff’s Cordina took to the professional stage. 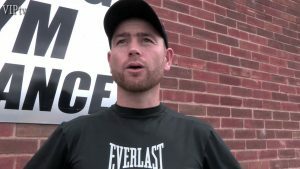 Trained in Essex, by Tony Sims, he’s impressed all with five stoppage wins, in six fights. 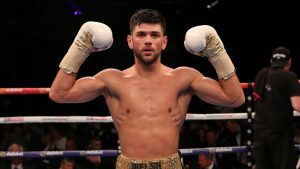 He has the backing of Matchroom Boxing and the talent to go a long way. Three fights, in 2017, two wins and a draw. 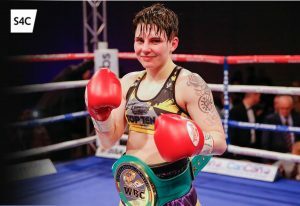 The impressive Brace earned the vacant WBC International Female Bantamweight Title, with a ninth round stoppage of Alexandra Vlajk. She followed that up with a win over Nevenka Mikulic. The year ended with a disputed draw against Melania Sorroche, a fight that deserves a rematch. Ashley is undefeated, with a 7-0-1, 3 KOs record. Cefn Fforest’s Robbie Turley (18-6, 4 KOs) raised his game to become the Commonwealth Super Bantamweight champion. At the Newport Centre, he dropped then stopped England’s Bobby Jenkinson in the ninth round. Jenkinson had won six, of his previous seven bouts, going in. Both men gave it their all but the boxing talent of Turley shone through. For Turley, it was his World title fight and he grabbed the chance with both fists. Honourable mention: Andrew Selby v Maximino Flores, Jay Harris v Thomas Essomba, Craig Evans v Stephen Ormond, Lee Selby v Jonathan Victor Barros, Liam Williams vs Liam Smith 1. Barry’s Andrew Selby overcame tough contender Maximino Flores, in a fight live on Channel 5. The WBC Flyweight Eliminator took place at the historic York Hall, Bethnal Green, London. Selby’s talents were on display, while Flores was tough, gritty and durable. The Welshman proved to be a class above and won a unanimous decision, over twelve-rounds. 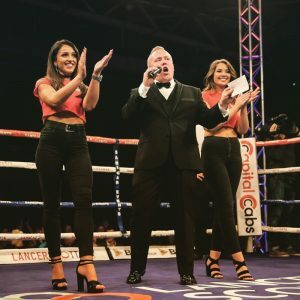 Honourable mention: Lee Selby vs Jonathan Victor Barros, Jay Harris vs Thomas Essomba, Ashley Brace vs Melania Sorroche, Jamie Weetch vs Yao Yi Ma, Tony Dixon vs Serge Ambomo, Andrew Selby vs Cristofer Rosales, Lee Selby vs Eduardo Ramirez. 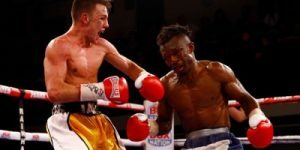 Swansea’s Harris became Commonwealth Flyweight champion at York Hall, Bethnal Green. He outpointed Cameroon’s Essomba via a unanimous decision. The 27-year-old Harris, trained by Gary Lockett, has gone from prospect to champion. The powerful puncher showed poise, maturity and determination to dethrone Essomba. Honourable mention: Lee Selby vs Jonathan Victor Barros, Andrew Selby vs Cristofer Rosales, Nathan Thorley vs Jermaine Asare, Craig Evans vs Stephen Ormond, Jamie Weetch vs Yao Yi Ma. Six fights in your first year, as a professional, is impressive. To do it with the spotlight of TV on you takes some doing. Lightweight Cordina has excelled and looks to have all the tools. Honourable mention: Sean McGoldrick, Kody Davies, Lance Cooksey, Callum Busuttil, Daniel Barton, Aron Canning, Ricky Rowlands, Fred Evans, Jacob Robinson, Jake Anthony, Maredudd Thomas. The Spaniard came to Wales to challenge Ashley Brace, for the vacant EBU Female Bantamweight Title. The hard-fought contest went the ten round distance. Sorroche earning a draw and the respect of all those watching. Honourable mention: Malik Zinad, Cristofer Rosales, Carlos Takam, Serge Ambomo, Sho Ishida, Robert Helenius. Swansea’s ‘Rok’n’Rolla’ fought three times in 2017. After periods of inactivity and being on the wrong end of bad results, Chris joined Gary Lockett’s gym. 2017 was a bounce-back year and brought consistency. 2018, will surely, bring titles. Honourable mention: Ricky Owen, James Lilley, Kieran Gething, Mano Lee. 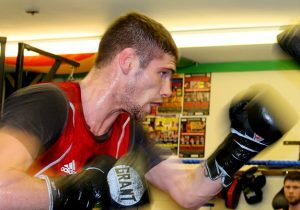 Tony Borg has had a lot of success out of St. Joseph’s gym in Newport. 2017 was another hugely successful year. 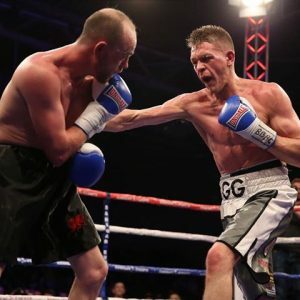 He trained Lee Selby to more World title defences, Andrew Selby to the brink of a World title, Robbie Turley to the Commonwealth title, Gavin Gwynne to the Welsh title. His talented stable of fighters includes Craig Evans, Lee Churcher, Ashley Brace, Lance Cooksey & Daniel Barton. Honourable mention: Gary Lockett, Chris Davies, Darren Wilson, John Kaighin, Ronnie Morris, Steve Robinson, Junior Borg. King of commentating chat, Cardiff’s Barry Jones retains his title. 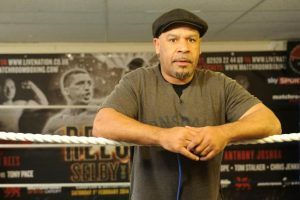 A weekly regular on TV channel Boxnation, he covers boxing from all across the globe. Honourable mention: Gary Lockett, Gareth Roberts, Enzo Maccarinelli, Zack Davies. 78,000 fans filled Cardiff’s biggest venue and broke the world record attendance for an indoor fight. 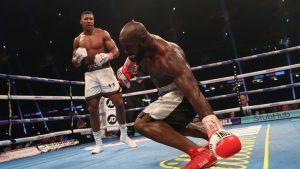 The Principality Stadium was the stage for Joshua’s World Heavyweight title fight against France’s Carlos Takam, which was promoted by Eddie Hearn’s Matchroom Boxing. Joshua won via stoppage in the tenth round. Welsh referee Phil Edwards was in charge of the action. 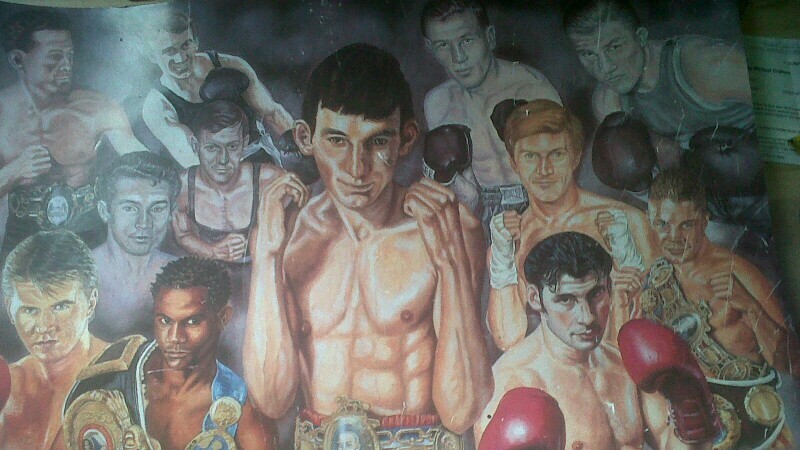 Honourable mention: Barry Jones 20th anniversary of winning the WBO World Super Featherweight title against Wilson Palacio, TV channel S4C showing Welsh boxing through-out the year. Last year’s winner and, once again, has come out on top with the voting panel. Took charge of a Welsh title fight, reffed on the huge Joshua vs Takam card and was the man-in-the-middle on many Welsh shows. Honourable mention: Phil Edwards, Martin Williams, Chris Jones. A mainstay of the Welsh professional circuit. The Monmouthshire man is an integral part of any Welsh BBBoC show. Last year’s winner and still on top of the pile. Rhondda’s Ricky Wright took his vocal talents all over the UK and Europe. He was the main MC on several televised cards. Honourable mention: Jonathan Millard, Hywel Chaplin, David Owen. 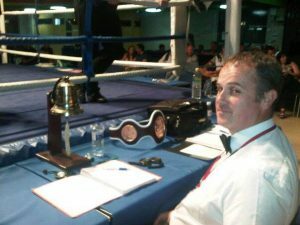 Dewi Powell covers the sport in Wales and is a regular at ringside. 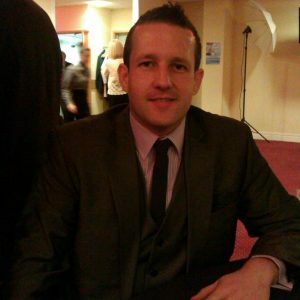 He’s the owner and editor of the successful website BoxingWales. The site impressively has 100% original content. Honourable mention: Gareth Jones, Paul Daley, Mark H Davies, Adam Carter, Michael Pearlman, Kailem Sims, David Owen, Michael J Jones, Michael Ward, Sean Davies, Ricky Wright. Merthyr Tydfil Leisure Centre was the scene for our KO of the year. Shown on S4C and with the Welsh light heavyweight title on the line. Two punchers collided on this Sanigar show. Nathan Thorley’s thunderous right-hand dropped Jermaine Asare, who beat the count, but the contest was rightly stopped by referee Reece Carter. Thorley’s nickname is ‘Thunder’ and for good reason. Honourable mention: Tony Dixon WKO1st Mike Jones, Alex Hughes WTKO1st Daniel Urbanski, Nathan Thorley WKO2nd Jamie Ambler, Aron Canning WTKO1st Darren Snow, Kody Davies WTKO2nd Andrejs Tolstihs, Jacob Robinson WKO3rd Dmitrijs Gutmans. The 34-year-old Cardiff veteran started the year with a win and followed it up with two draws – all on the road. He then took Joe Murray the distance in Manchester. 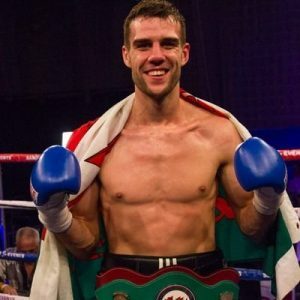 Henry (10-22-2, 1 KO) ended the year in a tremendous battle, for the Welsh lightweight title, against unbeaten Gavin Gwynne. Five fights, in 2017, saw him fight in Bedworth, Wigan, Liverpool, Manchester and Merthyr Tydfil. Honourable mention: Dorian Darch, Bradley Pryce, Geraint Goodridge, Matthew Ashmole. The upset wasn’t the result but the manner of defeat. Matty Askin is a quality operator, at British level. Craig Kennedy lost his unbeaten record and was stopped in the sixth round. ‘The Kid’ was dropped early, in the fight, and never got himself back into contention. Honourable mention: Ashley Brace DPTS12th Melania Sorroche, JD Jones LKO4th Fonz Alexander, Geraint Goodridge LPTS4th Anthony Fox, Jermaine Asare LKO1st Malik Zinad. 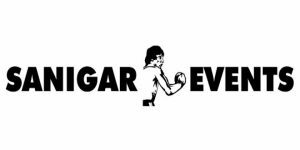 Chris and Jamie Sanigar kept the boxing flowing in Wales, with promotions in Merthyr Tydfil, Newport and Ebbw Vale. 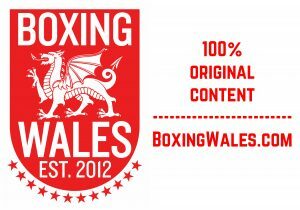 They manage, and promote, a large portion of the boxers in Wales. 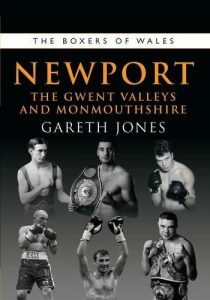 They also promoted two shows in London that featured several Welsh boxers. The Bristol-based promoters have fully established themselves, as the main promoter, in South Wales.